Sandra Kerr and John Hayes with the auto harp. Picture by Brim Morris. Campaigners battling a controversial surface-mine plan have raised £5,000 at an auction to help their fight against the scheme. The Save Druridge Group recently held the event at Cresswell Village Hall, with lots including a classic sports car and an instrument used to play the theme tune of a much-loved children’s show. An auto harp, used to play the Bagpuss theme tune, went for just over £500. It was donated by folk singer, Sandra Kerr, who with John Faulkner wrote the music for the television series. Meanwhile, an MG classic sports car, donated by Save Druridge member Max Tait, fetched just under £2,000. Lynne Tate, who leads the Save Druridge Group, was delighted with the public’s response. She added that ‘the auction will go a long way to helping us with our campaign costs’ and she thanked everyone who supported the event, including ‘our professional auctioneer John Hayes’. Objectors are protesting against Banks Mining’s proposed Highthorn development, near Widdrington. 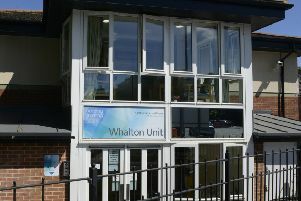 The scheme was approved by the county council last summer, but in September, Secretary of State Sajid Javid opted to call-in the plan. Its fate will now be determined after an 11-day inquiry which will start on Wednesday, May 31, at the home of Newcastle Falcons at Kingston Park.